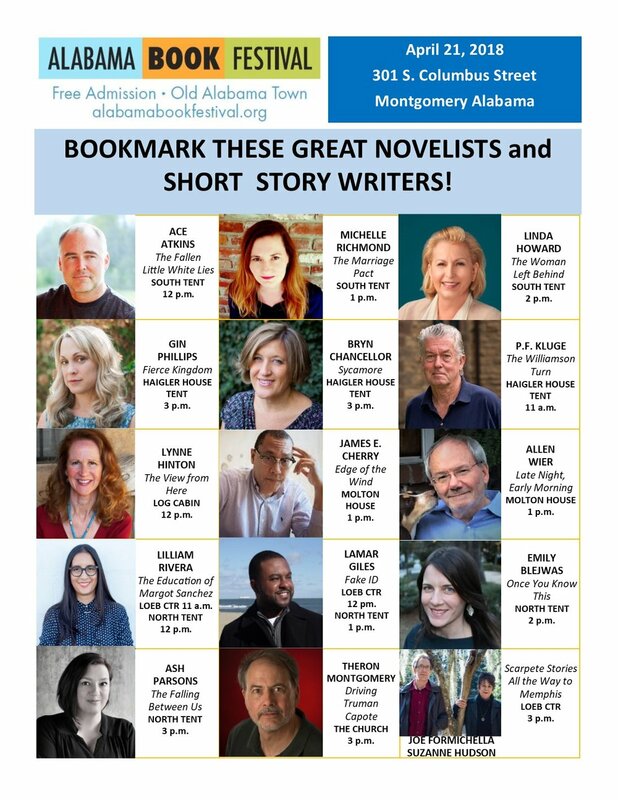 AWC is are excited to announce a weekend of free workshops and book fairs supported by the Alabama Writer's Forum and various local and state grants. You can learn more about the 2018 Alabama Book Festival scheduled for April 20 and 21st at the Alabama Book Festival website. In the meantime, apart from the incredible literary opportunities, here's why we think you should attend. ABF is offering a diverse set of FREE writing workshops on Saturday, April 21, 2018, on everything from poetry to podcasting and audio books to writing about the arts. Click here for a description of the workshops. Register now because seats are filling up! For teachers of creative writing grades 6-12, the Alabama Writers' Forum is offering a complimentary workshop on Friday, April 20 at the Troy University Montgomery Campus in downtown Montgomery. This is a great professional development opportunity for educators! Click here to view the program. Our new and improved open-mic stage is now taking applications for 15-minute slots! Click here for information on how to read in our food court during the day! The Alabama Book Festival is located at Old Alabama Town in Montgomery, Alabama. You can use the map below to help you plot the trip.